Your pet’s health and vitality require adequate water consumption. 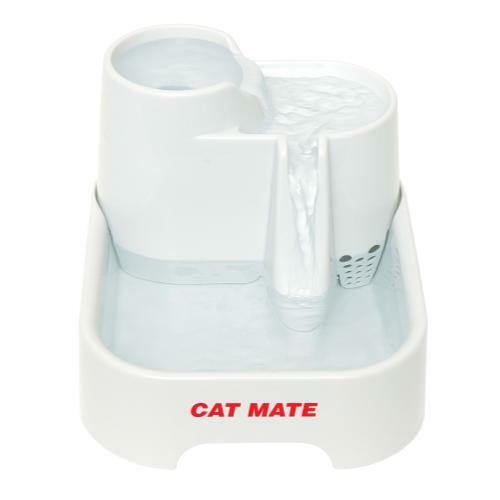 The Pet Mate drinking foutain's carefully developed unique design maximises the appeal of drinking with plenty of water movement to ensure naturally oxygenated, cool water throughout the day.The system runs quietly and has an extra safe power lead 3 metres long. •	Easy to clean, dishwasher-proof bowlsPump guaranteed for 12 months.